For decades it has been well known that Alfred North Whitehead’s papers and correspondence were burned or destroyed. What unknown materials were forever lost to the flame has been a source of speculation for more than seventy years. Were there unpublished manuscripts? Were there early drafts of published works? With whom did he correspond and what did he say? We now know that this narrative is largely, if not entirely, false. 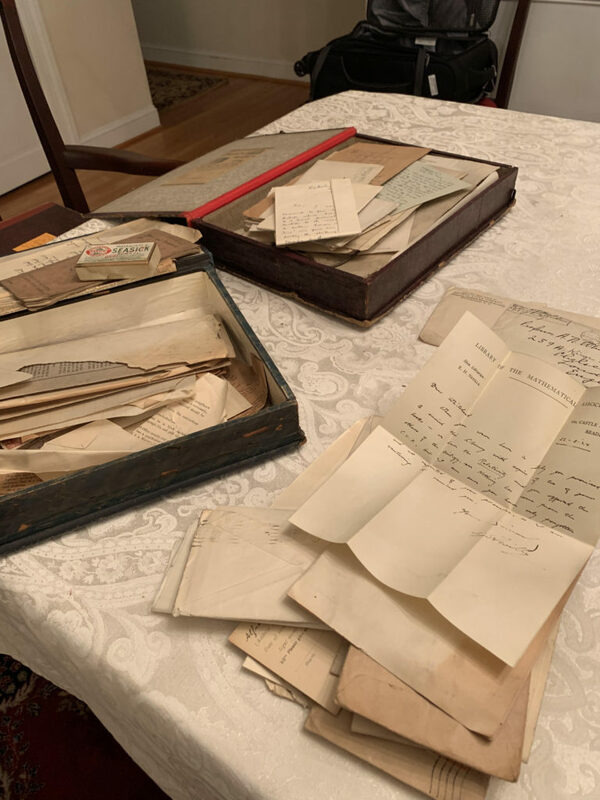 Whitehead’s family members did not destroy his papers, but rather dutifully stored them. 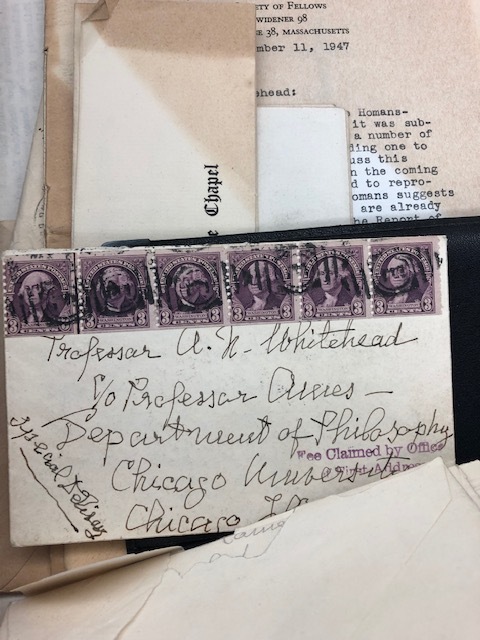 After seeing our work on the Critical Edition of Whitehead, Whitehead’s heir recently contacted us and shared the shocking news that he not only had a number of boxes of Whitehead’s papers, but that he wanted to entrust them to the Critical Edition staff to preserve them. George Lucas (the Critical Edition’s General Editor) happily arranged to collect what turns out to have been nine old file boxes of letters, pictures, contracts, off prints, legal documents, telegrams, course materials, and manuscripts. 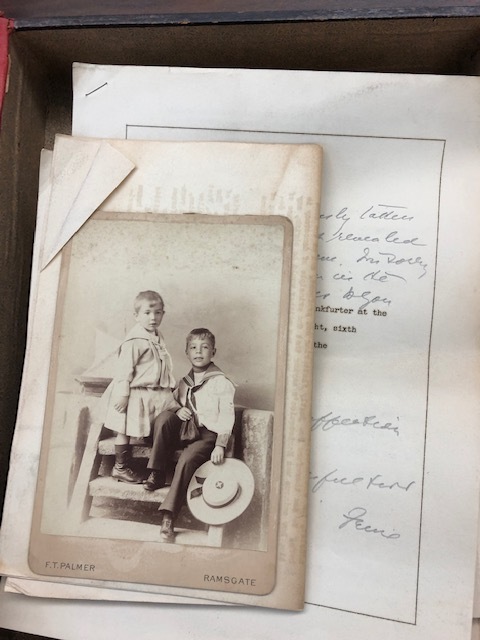 Carefully packing them in an oversized suitcase, George flew them to Claremont where he met Brian Henning (the Edition’s Founder and Executive Editor) and Joe Petek (the Edition’s Chief Archivist and Assistant Editor) to review the materials. 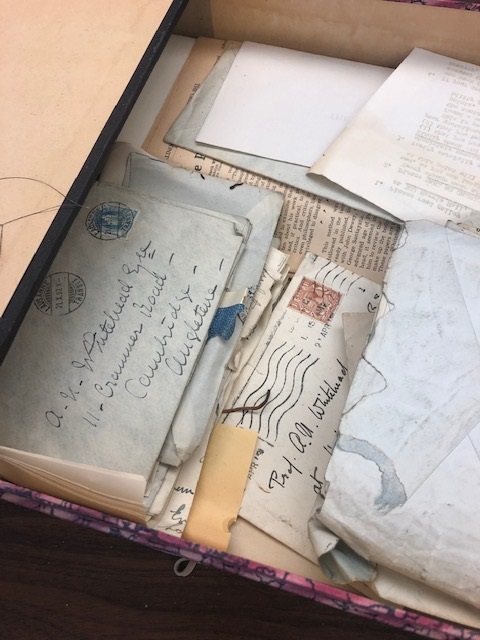 We will not really know what we have received in this cache of materials for months, if not years, as much of it will have to be carefully digitized, transcribed, and edited. However, our initial review over the last two days has revealed some extraordinary finds—some philosophically important, and others simply biographically interesting. 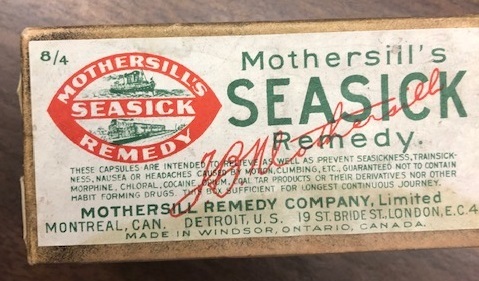 In unpacking a box, one could find stray business cards from various retailers, a telegram from a friend, a birthday note, and even a small box of seasickness pills (there are three doses still in their gel caps!). A narrow envelop with the word “Will” written on it reveals Whitehead’s legal will drafted in 1891, the year of his marriage to Evelyn—it is little more than a single handwritten page giving everything to her. 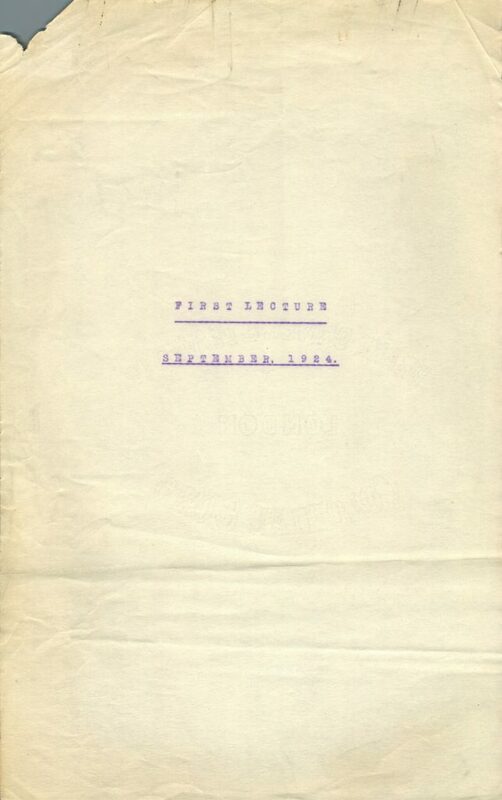 Yes, this is Whitehead’s own manuscript of what he delivered in his very first philosophy lecture in Emerson Hall on September 25, 1924. Scholars will soon have access to this exciting new discovery in an edited volume of essays, Whitehead at Harvard: Whitehead’s First Lectures in Philosophy, exploring the philosophical significance of the first volume of the Critical Edition, the Harvard Lectures of 1924-25. It is a new age of Whitehead research. Not only is the Critical Edition making available carefully edited materials previously unavailable or unknown to scholars, it is also upending long-held aspects of the intellectual history of Whitehead, his work, and his life. We have always “known” that Whitehead had his papers burned. Given the almost complete absence of Nachlass, more than a few people questioned whether a critical edition of Whitehead would have anything worth publishing. What we now know is that many things we thought were certain fact were something else. What other gems we might unearth as we toil in the Whitehead mines is anyone’s guess. It is surely an exciting time to be doing Whitehead scholarship. The heirs to this treasure chest need to be honored at the highest level. Can hardly wait for the published revelations. Hope there are insights post “Process and Reality”. So grateful for your news on this matter. Simply awesome! So excited for you Brian. Looking forward to finding out what you discover! Congratulations. It is the sterling work and reputations of the editors which has unlocked this puzzle, for everybody, one hopes. Perhaps the Critical Edition editors, their vocations, donations, and nachlass secured, might now afford to publish something affordable to independent scholars. With gratitude to the heirs of ANW. That has now been done, or at least begun. 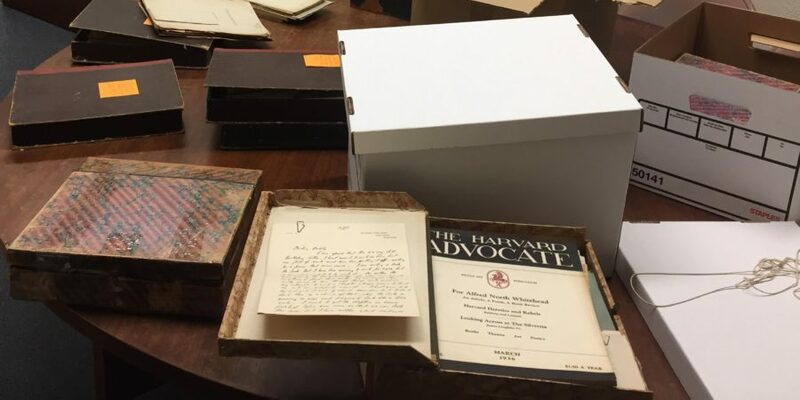 See subsequent post by Joe Petek on Feb 1 2019 for link to online cache of never-before-seen Whitehead papers, letters, and manuscripts. 🤯 mind blown. Thank you for your efforts and I cannot wait to hear more about what you’ve found. This is just amazing, to have these traces thought extinguished become suddenly alive and tantalizing. Everything learned will be like a gift, undoing a mythology of absence. Many thanks to the discoverers in the mines! A time capsule unearthed. Victor Lowe would be amazed! Has Carol MacDonald of Edinburgh University Press been informed? Stunning! I remember Mark Van Hollebeke relaying to me Jude Jones’ seminar on Process and Reality secondhand in Fall of ’95. Whitehead’s ‘decision’ to burn his remaining intellectual works and notes struck me deeply then, and stayed with me. I look forward to seeing what the community discovers. Fantastic! What a stunning turn! Cannot wait to find out more about what’s there. Congratulations and well done! This is such wonderful news. Thank you for sending this remarkable news, John. Like the Dead Sea Scrolls in the Quamran Caves, and the lost ancient Buddhist texts of the Dunhuang Caves near the Gobi Desert, or maybe like finding Captain Kidd’s buried treasure — this could be a great discovery! Amazing! I’m very happy and ansious to read more about this discovery. Congratulations! This is a great find. 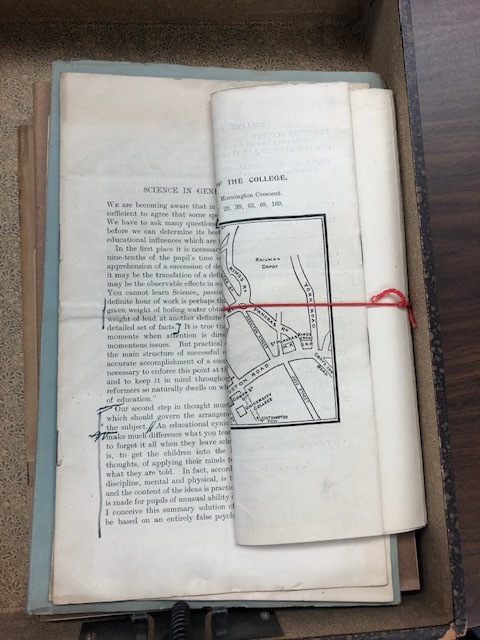 It is wonderful that the Whitehead Research Project and Critical Edition exist and drew the attention of the family–and can now give these materials a good home and the careful inspection they deserve. Wow! Such great news! It will be wonderful to read what you find. Holy buckets. And George Lucas, love from Chicago where we have retired.